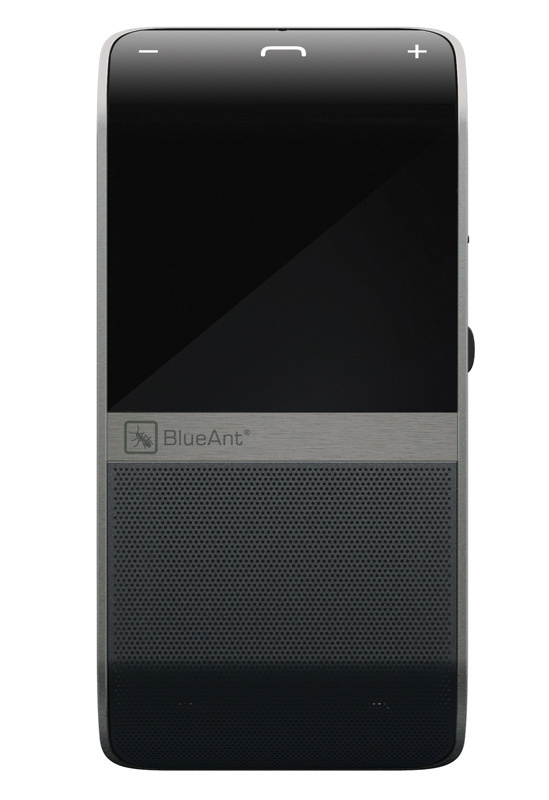 The Blueant T1 has dual microphones to give the best quality voice isolation on the market. Lightweight and having flexible ear hooks the Blueant T1 is one of the most comfortable headsets available. A2DP streams music or directions via the GPS application from your mobile. The unit will also assist you via audio instructions during the pairing process. The T1 stores up to 2000 numbers per paired mobile. With its caller name announcement there is no need to look at your mobile to see who is calling. The Blueant T1 also comes with a silicon sleeve for added protection, great for workmen or no delicate fingers…. Voice controlled handsfree for your car or office. Answer your calls by just using your voice. The Blueant S4 can store up to 2000 numbers from your phonebook (per paired mobile) and will also announce the callers ID.It also has multipoint allowing you to connect 2 mobiles at once and answer the one that rings. A2DP streams music or directions from your GPS application from your mobile.The Blueant S4 comes with no extra installation cost.With its up to 20 hours talk time and up to 700 hours standby time the Blueant S4 is a must have for all drivers.